The sun shown brightly down on Green Forest as Christopher Webtoe, the little frog, happily hopped along. He had no plans for playing and having fun yet, so he busily searched for something to fill his day. As he hopped along, Christopher admired all the beauty of Green Forest. He was glad this was his home. Christopher Webtoe was very proud of his home. He was proud of his hop, too. He thought there was nothing in Green Forest that compared to his hop. He could hop really high and really far. Christopher Webtoe's hop made him feel as if he were special. As Christopher looked around, he saw the bright colors of Green Forest. Fallen leaves from the trees sprinkled the ground. Toadstools and mushrooms sprang up here and there. The flowers of plants rose above him. 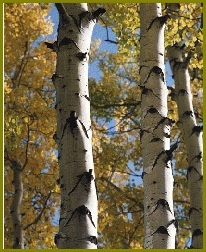 When he hopped above the flowers, Christopher could look up and see the leaves that had not yet fallen from the trees. He wondered what it was like to be that high in the sky. Along his way, Christopher hopped over logs and branches which had fallen. In some places, he hopped through patches of tall grass, growing in open areas not hidden by the maze of tree branches above. Here, where the grass grew thick, he could see the forest and the sky only when he hopped higher than the tallest blades, and even then, only for an instant. While he hopped through one of these patches, Christopher saw a flash of green and gold to his right that hopped much higher and much farther than he did. This looked like someone who might fill the fun part of his day. Curious, Christopher hopped in the direction of the green and gold flash to get a closer look. As he nuzzled the grass apart with his snout to take a peek, he recognized the green and gold flash. 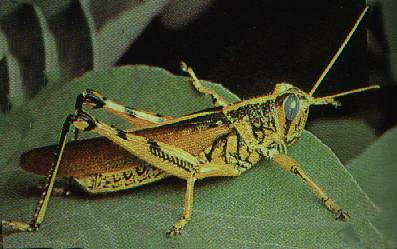 It was Frederick Springfield, the grasshopper, in search of food for his big family. Christopher saw the way Frederick hopped, and he noticed how his leap helped him move quickly and get a better view of the land during his search for food. Christopher also noticed that Frederick used his wings to help him hop high and far. Christopher Webtoe did not want to bother Frederick, since he looked very busy, and probably wasn't in much of a playing mood anyway, so Christopher continued his search for fun. As Christopher Webtoe left the grassy patch and headed through the trees, he came upon some old logs that had piled up one on top of another as they fell. This looked like a challenge for his hopping skills. Christopher started to back up so that he could get a fast start for a great big hop over the logs, but almost as soon as he began, a furry, gray and white blur almost crashed right into him! The speeding blur went by so fast it knocked him right off his course, spun him sideways, and made him land in the middle of a big pile of leaves with a clumsy kerplunk! Christopher grumpily poked his head out of the leaves to see what had happened. That fast-moving bit of fur had been Bonnie Luckyfoot, the bunny, zipping away, and boy, was she hopping! Christopher never saw anybody hop so fast! Bonnie's powerful hind legs helped her zoom and zig-zag through the forest, so that she could get places really quickly. Bonnie had a tiny bit of straw in her mouth, so Christopher knew she must be hurrying to make a new den for her babies. That thought made Christopher happy, because her baby bunnies would soon become his new playmates. After Bonnie hopped out of sight, Christopher noticed it was beginning to getting dark, so he decided he'd best hop towards home. As he went, Christopher thought about the special ways that both Bonnie and Frederick hopped. They could both hop higher and farther than he could, so Christopher Webtoe began to worry that maybe he wasn't so special after all, and the idea made him feel a little sad. But, then, after a moment, he realized that his kind of hop was different than Bonnie and Frederick's hops. Frederick had wings to help him jump, while Bonnie had big, strong legs. Christopher himself though, had webbed feet, just like flippers! His flippers not only helped him jump, they gave him great balance, and they helped him swim really fast in the water! Christopher Webtoe decided that he was special, after all, and his proud mood returned. But this time, his pride felt different. While he realized that he was special, now he knew that Bonnie and Frederick were special too, each in their very own way! This made Christopher feel good about all of his friends in Green Forest. Green Forest is a very nice place to live, decided Christopher Webtoe, and he hopped his way home, feeling a little happier, and jumping just a little bit higher. Randy Sultzer is an engineering manager who has worked for the US Navy for the past 9 years. He has always enjoyed writing, but started to develop it as a second career in 1992. Since then, He has had several poems and short stories published within anthologies and magazines across the country. Randy and his bride Tamara, are experiencing the excitement of sharing life together.